Many people ask me can you actually ‘’buy a passport’’? How do these things work and above all, are they legal? Well, technically you can and it’s completely legal, approved by the government. In this case buying might be a rough and inaccurate word. We prefer to use word invest. But what does it all really mean? Well, it is possible to become a citizen of a foreign country if you invest a certain amount of money in that country. However not all countries have this program, in fact only few do. Only nine countries offer official citizenship by investment program. Few others offer the same program but unofficially. It’s important to mention that both cases are 100% legal. We are going to give you a list of countries that offer this program. Cyprus has official citizenship by investment program. For an investment in worth at least 2 million EUR you can become a citizen of this charming country. We have a full article about citizenship by investment in Cyprus, you can read it here. Highly respected EU island country offers this program for high net worth individuals and their families. if we compare countries that offer this program, Maltese passport is definitely the most valuable one. It will give you visa free access not only to EU, but also to six big English speaking countries including USA. However, one important thing to note is that you need to actually donate money to the government. More details about this you can find in our article where we are specifically talking about Malta. 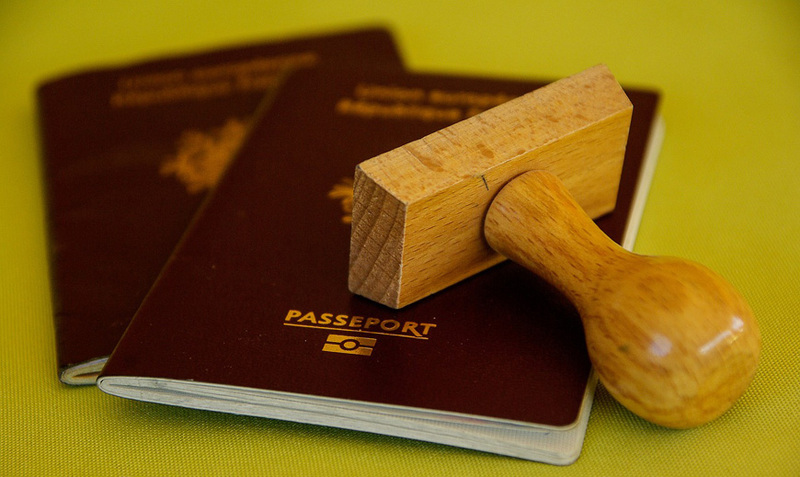 Dominica offers its passport at very competitive price! For 100 000 dollars you can get citizenship of this country. Their only requirement is good knowledge of English language. However, if you are citizen of certain countries you will have to go through additional screening. These countries are: Iraq, Afghanistan, Uzbekistan, North Korea, Pakistan, Russia, Sao Tome Principe, Saudi Arabia, Somalia, Sudan, Turkmenistan and Yemen. In this country you have to options – to donate or invest money. Needless to say, donating makes everything go way smoother. Interesting fact is that actual citizenship by investment program began here! St Kitts and Nevis was the first country to offer this type of program in 1984. Today this is their biggest export product, costing you 50 000 dollars donation or 400 000 dollars investment in real estate. Grenada allows you to make a donation of 150 000 dollars for a single person or 200 000 dollars for a married couple in exchange for their citizenship. You can also buy 350 000 dollars worth of approved real estate that are actually great alternative to donation. Grenada’s offers visa-free access to Russia and China, and it’s the only Caribbean CBI to be part of the United States E-2 treaty program.it means that it offers a simplified procedure to live part time in the US as a business owner, and that makes it attractive to many people. This country offers amazing deal for families, it lets family of four apply for the price of one applicant. If you want to have their passport you either need to donate 100 000 dollars to the government, buy real estate worth at least 400 000 dollars or invest at least 1.5 million dollars in business. The interesting catch is that you can invest ‘’only’’ 400 000 dollars in business if you invest together with other applicants. In this case you need to invest at least $5 million collectively. Residency requirements are very low, you need to spend only 5 days in the country for the course of five years. Quite simple, right? St. Lucia offers you their citizenship for the donation of 100 000 dollars. However, if you are not into donating your money to the government then you have an option to buy real estate. In this case you need to spend at least 300 000 dollars in real estate. If you want Vanuatu passport you will need to splurge about 250 000 dollars. This passport offers some nice advantages: visa free travel to Russia, UK and rest of Europe. Many consider this country to be tax heaven since there is no income tax. There’s almost no tax at all. The interesting thing is that you can get passport very fast, as fast as 45 days! In order to heal their declining economy, Turkey introduced citizenship by investment program in 2017. When it comes to Turkey few options are available, but prices dramatically declined since the program started. Today you can buy real estate worth at least 300 000 dollars and receive citizenship in this country (earlier price was 1 million).